Daily you see snippets of courage from leaders you admire – through questions asked and stories shared. Courage to embrace mental confidence, and face danger bravely, remains the last virtue on center stage after you sacrifice who you are now, to embrace who you can become. Have you seen it? Special thanks for this courageous Brain Leaders and Learners community, for your constant communication insights, for your tone that respects differences, and for courage that sends talented circles to the peaks. Few will escape daily challenges that cry out for life-lines of courage – yet, with the brain in mind, comes valor to climb back. Bravery in its smallest act of, say a smile returned after a smirk, brings that boost of serotonin that stimulates determination to hang in and help others win. Just yesterday I received an email from one highly skilled leader and a phone message from another that basically told similar stories that evoked courage to climb – rather than sink. In both I’ve seen and admired courage. You? A cowardly mind, by contrast, often comes soaked in cortisol chemicals that spread gloom faster than donuts disappear from a Monday morning staff room. Have you seen it? Leaders can feel alone and disarmed when challenges strike calamity into their workplace. In fact, courage is hard to spot in tough times, and may not even appear to exist at the other end, when difficulties topple your calm – like explosives demolish a fragile building. Have you noticed too that it takes support from others to reach for courage when a blast ignites? Both leaders who contacted me yesterday, inspire the rest of us with heaping doses of courage to strengthen the climb back, in spite of sinking situations. Not that it’s easy though. I was co-facilitating a week-long leadership development. We had a group of 24 sitting in teams of 6, each at their own table. I have done this course many times, and we had one participant who was the most negative and cynical I had seen. He was significantly impacting the mood and performance of his team. They spoke up less for one thing, I assumed because they did not want to suffer his snide commentary whispered to them. On the last day of class, this participant left for the 9:00 am break and never came back. We were only meeting till noon. My co-facilitator and I could not believe how quickly and significantly his team members actively and constructively participated, in just the few remaining hours. What was even more significant for us is that we saw the whole group participate in a more engaged way after he left. As I said, I have run this session successfully several times before. Been there? Soon after Ian’s SOS email, came the phone message from Larissa, in another state with tales of toxins from a few disgruntled workers that appeared set to take down an entire circle. Daring courage helped her climb back onto ground that seemed set to sink all around her. Sadly, one toxic participant can suppress mental energy for an entire group. Yet amazingly, one leader’s courage can also climb communities back to the top with renewed results. How so? Appeal to participant’s common sense and you’ll open possibilities to build goodwill and help develop entire group’s intuitive or intrapersonal intelligence. Rather than show how disruptors can improve for others’ sake, why not suggest what they can do to reclaim their own brain’s best strengths. You’d be surprised that people admit they simply lack the traits to turn around bad habits. A few may even thank you for a strategy or two that rewires human brains for winning results. Step forward into open-minded solutions. Remain flexible by taking a risk to try a remedy that awakens values for a brain powered climate, rather than trip over or simply protest problems. It’s almost impossible for your brain to multi-task solutions when focused on challenges alone. Look more at solutions, however, and the brain begins to jumpstart mind-bending remedies that separate. Step back and reconfigure broken situations for a winning outcome, and regain calm in spite of pressure. Use respectful tone to the person causing trouble, and invite the person aside to help build consensus by creating shared solutions away from any influence on the whole group. Laugh at yourself and life’s foibles. Laughter lightens moods, tends to dismantle barbs, and sets people up for a lighter approach that adds hilarity to balance difficult challenges. Have you noticed that people gravitate to those who laugh lots and especially those who foster laughter at work? Start events with brief advance organizer and then focus on facilitating shared goals along its pathways life a plane moves along a well lit runway. In a session on leadership development, for instance, you might list 5 simple steps that illustrate what the day will look like. MITA approaches tend to illustrate this organizer in big picture concepts that will be covered as well as active tasks participants will do to gain smart skills taught for each concept gained. 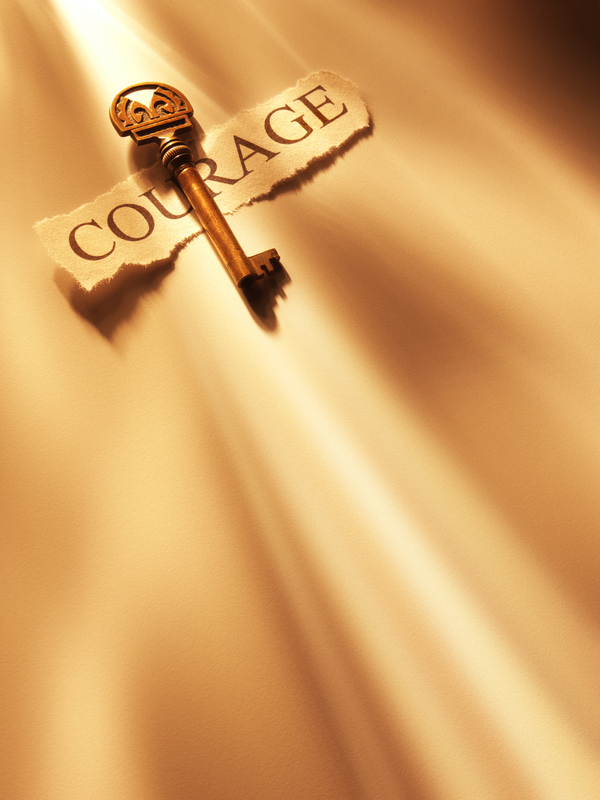 What adds courage to help you lead new adventures in spite of conflicts that come? Thanks Gary, and thanks for the way you arm yourself and others with courage. Yikes — we had to cancel Toronto as we were double booked and will be keynoting at the Annual Celebration for faculty at the University of West Indies at the same time. We felt terrible because we rarely ever cancel anything and see a calendar as the points of integrity to hold commitments. The Toronto leaders will reschedule us and we plan to do their session in January now. How is your fall term coming? Any cool adventures in the wings? Thanks for this helpful information and challenge, Ellen. I loved your graphic too! Looking forward to meeting you in TO in October. I got a picture of the Source of the light empowering the key to courage. I also heard !